Tarbes, the capital of Bigorre, is located on the Adour and follows the outline of the river. Close to the Pyrenees and the ocean, discover the rich scenery of the surrounding areas with ease. It only takes an hour to reach the main sites of Gavarnie, Pon t d'Espagne, Pic du Midi and Lourdes, and only a little longer to reach the regional capitals of Bayonne, Auch and Toulouse. Tarbes is also within easy reach of 12 SKI RESORTS. I found the reception friendly and efficient , and the room comfortable and clean. I was welcomed. I had all questions answered and told how to get to a restaurant. All was as expected, however I was apalled at the state of the bathroom. It stank of mould and was crumbling around the toilet. Mould was growing even on the ceiling. Having stayed here before, the degradation of the rooms was very disappointing. We had a family room and that was great. Only the badroom had to much fungus and that was not so hygienic for the kids. Great accommodation with wonderful air con. Lovely and clean and great value for money. Wonderful stay, clean friendly and easy access from the main road. The receptionist was friendly and gave us a warm welcome which was much appreciated after a long journey. My previous visit to Tarbes had been more than 20 years ago so I couldn't remember the city well. The receptionist took time to explain the route into the centre was enthusiastic about the city giving thorough information. Being a chain hotel, the rooms and other facilities are of course as expected but the welcome, friendliness and team spirit of all the staff in Tarbes made all the difference. Merci bien a toute l'equipe. Good. What just I have been expected. The breakfast was poor. Basic but comfortable. The staff were very friendly and assisted us with all our requests. Very nice breakfast. Would be very happy to stay here again! One night on travel through France. Inexpensive and adequate. 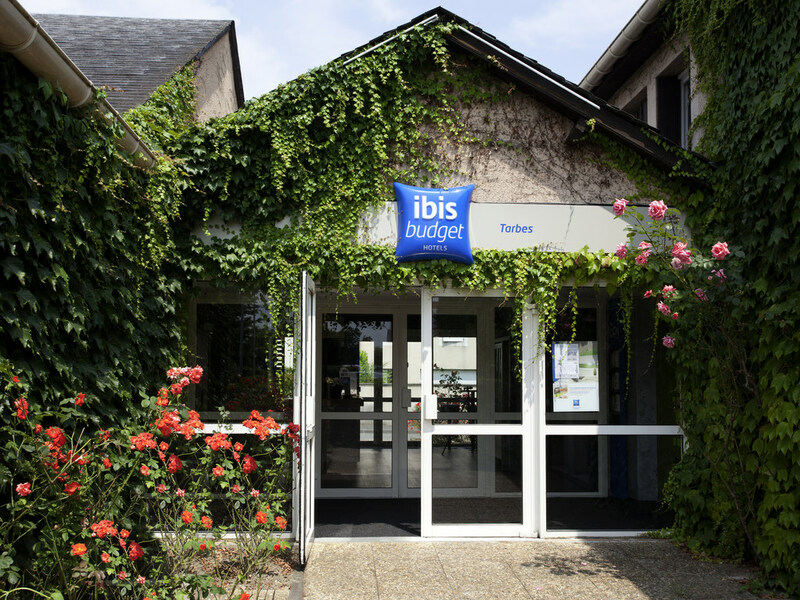 This was our second stay at the Ibis Budget Tarbes, which we find convenient for visiting Lourdes. The only suggestion we have is that it is difficult to find on the way back from Lourdes- perhaps the signs could be more noticeable? On first arriving from the Toulouse/ Bielsa direction it is easy to find as it is on the road to Lourdes, but on return we nearly got lost in the Centre of Tarbes! The hotel was clean and comfortable. The receptionist was very helpful. It would be better if it had a lift.